Haddy the Dinosaur in downtown Haddonfield won’t be so lonely after a small, raised wooden box filled with books is installed near the site this spring. Haddy the Dinosaur in downtown Haddonfield won’t be so lonely after a small, raised wooden box filled with books is installed near the site this spring. What is this unique amenity coming to Haddonfield’s main road? A “little free library,” of course. Sometimes the smallest gestures make the largest differences in a town, and the little free library is going to be no exception, according to some of those working to make it a reality. This box of stories is expected to engage Haddonfield’s youth and make it easier for the community and visitors to gain access to books without charge or a need for a library card. Although, there are many little free libraries popping up in and around town, this one will be the first located off of Kings Highway and the first one administered by the Kiwanis Club of the Haddons along with the help of the community. The Kiwanis Club of the Haddons, an organization geared toward helping kids, conjured up the idea last year to place a little free library off of Haddonfield’s main road. Although it is just now coming to fruition, the club is optimistic about the long-term future of the little free library, saying if the amenity turns out to be a valuable asset to the community, there will be more like it to come, according to Harvey Lermack, president of Kiwanis Club of the Haddons. “That’s what we do. If we get involved with a project that’s successful, we do more of that project,” Lermack said. The little free library is expected to be installed in early spring while keeping with the colonial aesthetic of Haddonfield, according to Lermack. A rustic wooden case will hold roughly 30 to 40 books, according to Lermack. Books will be available to passersby, primarily Haddonfield’s youth. 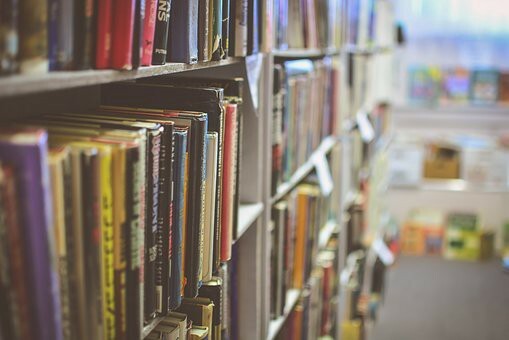 Residents are encouraged to donate books in “good condition” by dropping them off in the box or donating them to the Haddonfield library, which the club has partnered with to make this idea become a reality. For those wishing to donate sooner, the library is accepting donations now. “The library is really happy to participate,” Circulation Manager Heather Lacy said. Library associates have high hopes for this project and anticipate the new addition will add to the positive atmosphere in Haddonfield and possibly encourage more people to immerse themselves in a good book or two. “I like the idea that they can share and think about, ‘well maybe there’s another child who can read my book,’” Lacy said. Borough commissioners signed an agreement with the Kiwanis Club to place a little free library on Haddy Lane Last month. “The borough is very supportive, they signed off on it immediately,” Lacy said. Once the little free library is installed, Lacy encourages residents and visitors to stop by the public library or donation box and drop books off or even take a few home. “It’s just the idea of sharing and caring about each other and spreading goodwill I think,’’ Lacy said.